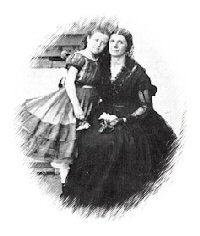 Women played important roles in the Civil War, not only as mother's and wives, but as spies, nurses, soldiers, camp sutlers, camp cooks, seamstresses, journalists, arsensal workers and even doctors! 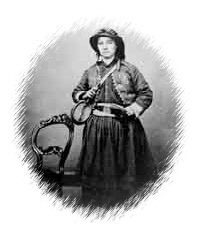 Click on the links at the bottom of the page to view other websites dedicated to women's roles in the Civil War. 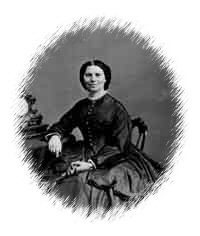 Women slowly gained recognition as Medical Doctors and Surgeons during the Civil War. They gained acceptance to Medical universities and studied alongside men, becoming proficient in medicine and surgery. 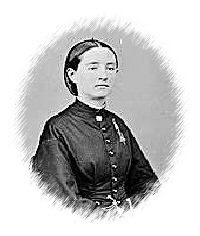 Although female doctors were a rarity during the Civil War, they had finally broken the gender barrier in medicine. The most commonplace for women in the field of medicine was as nurses. Women tended to soldiers, refugees, children, and even horses! They rolled bandages, darned socks, prepared meals for the wounded, assisted in amputations and removal of bullets and flak, as well as provided bedside care for sick and wounded soldiers in hospitals, medical wards, and on the battlefield. Many women who wanted to serve in the military and were not allowed due to their gender, became spies. Many gathered information in Washington and Richmond and delivered the coded information to their respective sides (Union or Confederate). Besides acting as couriers of battleplans, women often carried contraband to the soldiers in the form of ammunition, weapons, ether, chloroform, medicine, bandages, and quinine. If caught, spies were sent to military prisons to await trial and possible execution. They risked their lives for their army. Vivandiere litterally means "hospitality giver" in French. 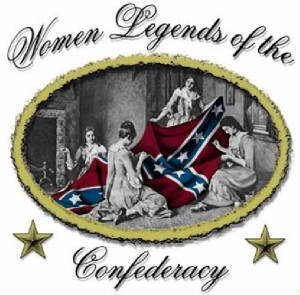 These brave women traveled with soldiers for little or no pay as sutlers, mascots, wash women, cooks, or nurses, color bearers, while others fought alongside their male counterparts. Many Vivandières carried a trademark cask, either round or oval, often filled with water, brandy or wine. Their uniforms generally consisted of jackets copied from those of their units, many times with feminine touches such as extra braid or lace. They wore men's pants under a knee-length skirt and leather boots. It is interesting to note that many Vivandières had pants which were sewn in two sections, cotton from the waist to just above the skirt hem, with wool starting at the hemline, so that they appeared to be wearing the same wool pants as their male companions. The vivandiere paid little heed to her non-combat job description and was frequently found on the firing line in some of the toughest battles of the war. If she wasn't tending to the wounds of her comrades, she could well be found loading, aiming and firing rifles at her enemy. And the enemy could be either Yanks or Rebels because both sides had vivandieres.